Part of building your child’s Jewish identity is having them be part of a dynamic and diverse Jewish community. Simply hiring a Hebrew tutor for bar/bat mitzvah prep doesn’t come close to what a well-rounded, community-based religious school experience provides. 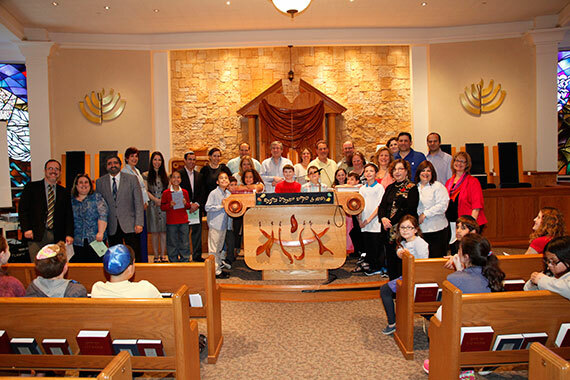 That’s NNJJA (pronounced NINJA), the consortium religious school hosted at Temple Israel & JCC. The NNJJA curriculum combines hands-on fun and experiential learning with strong academics to teach Jewish tradition, culture, prayer, history and Torah. We offer a flexible menu of engaging early childhood education programs and classes for grades 1-7, all led and taught by experienced professional educators. NNJJA is open to consortium members and unaffiliated families through grade 3, after which membership is required in a participating synagogue. For more information, contact Education Director Jessica Spiegel at jspiegel@synagogue.org. Programs from tot through second grade are held on Sunday mornings and are open to members and non-members. Classes for students in third through seventh grades meet on Sundays on Wednesday afternoons for a total of five hours a week. This Sunday morning preschool program meets once a month from 9:45 to 11:15 a.m. with a focus on fun. Each session is centered on a Jewish theme and incorporates circle time, stories, gross motor skills activities, music, crafts and more. Children ages 5 and 6 enjoy an interactive Sunday morning program that features crafts, cooking and stories. The curriculum includes Bible stories, holiday enrichment and the Hebrew alphabet. Classes meet weekly but each session is designed to stand alone; students are invited to attend weekly, bi-weekly or monthly. Classes meet 9:30 a.m. to 12:30 p.m.
Students in first and second grades will love learning about Bible stories, Jewish holidays, Hebrew and Jewish tradition through games, crafts and drama as part of this weekly Sunday program. Classes run from 9:30 a.m. to 12:30 p.m. The beginning of our five-year religious school program starts students on their path toward becoming bar/bat mitzvah. Third grade classes introduce Jewish prayers and Torah enhanced with music, games and classroom instruction. Classes are held on Sundays from 9:30 a.m. to 12:30 p.m. and Wednesdays from 4:00 to 6:00 p.m. The curriculum at this stage is rich in classroom instruction, hands-on experiential workshops, and special programming that create a strong foundation in ritual and synagogue skills, customs, Jewish culture, Bible study and Hebrew language. Field trips, cooking, music, yoga and online games help bring Jewish education alive for our students, who are exposed to various religious and worship perspectives through our two congregations. To earn their diplomas, our older students (Kitot Dalet and Hey) must complete a community service project of their own choosing, which drives home the Jewish ethical and moral values of tikkun olam (repairing the world) and chesed (lovingkindness), the responsibility we all have to one another and to the world at-large. 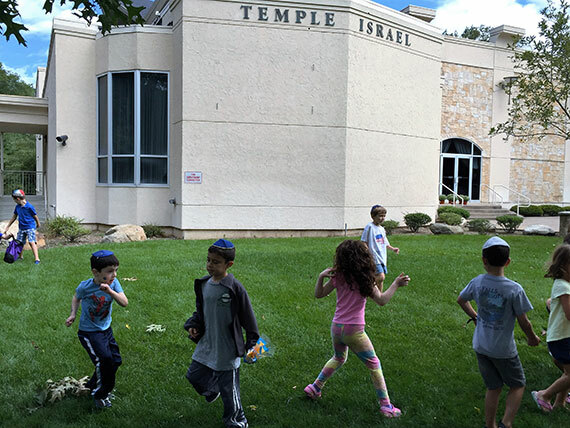 Classes are held on Sundays from 9:30 a.m. to 12:30 p.m. and Wednesdays from 4:00 to 6:00 p.m.
One goal of Temple Israel’s religious school program is to whet our young people’s appetite for further Jewish learning. We strongly encourage NNJJA graduates to continue their formal Jewish educations at one of two excellent supplemental programs for grades 8-12: the Bergen County High School for Jewish Studies in Englewood and the Rebecca and Israel Ivry Prozdor School at the Jewish Theological Seminary in New York. NNJJA is affiliated with both. Please visit their websites for complete information. *Current NNJJA synagogues are: Temple Israel & JCC in Ridgewood, Temple Beth Sholom in Fair Lawn, Congregation Beth Sholom in Teaneck, Kol HaNeshama in Englewood and Temple Emmanuel of North Jersey in Franklin Lakes.